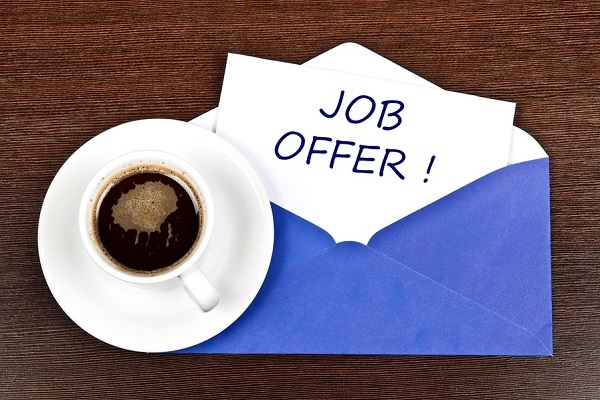 When to accept or not accept a job offer and go for a job change. Job Change is a part and parcel of the whole process. Very few people stick with the same employers who gave them their first job when they passed out from college. 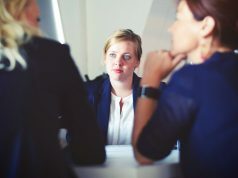 While a few of these job changes can be involuntary, due to termination or any other circumstances, there are still more which are voluntary, as people move up to better positions or salary. However, while job change is a real deal, there are certain things you should keep in mind before saying yes. Not every job offer that comes your way is worth accepting, nor is every lucrative job offer necessarily better than the one you are currently at. So, how do you know when to say yes? Agreed that money is not everything. It cannot be the major factor affecting your decision, but you have to agree that money does make things easier. A constant flow of finance has a way of letting you enjoy things which you won’t if you sat with your head in your hands, worrying about money all the time. A steady increase in salary or higher jump with a job change is not a bad thing. You should be satisfied with your paycheck to be satisfied with your job, and moving on to green pastures can actually be a great thing for you. However, before you look at the gross number quoted to you during salary negotiations, make sure that you are not trading a bigger number by losing on some other necessary benefits. From health insurance to how much you will have to give in tax, other allowances, keep everything in mind before you sign the deal. Can you find the room for growth? Changing jobs every year to find the growth and satisfaction that you need from a job is not always possible. It does not reflect well on your resume either and portrays you as a person who is not stable. That is why you should choose your jobs carefully. Is it something that will allow you to go both professionally and personally? Will it allow you to acquire new skills and meet new challenges? Your new position should open the space for better, higher positions. Do you respect the people you will be working with? You can a lot about the person you are going to work for by how they behave during the job interview. Ideally, you should also ask them about the team you will be working in and the people you will be working with to get a fair idea. However, you can make an informed decision by looking at the work environment. If you think you can respect and learn from the people you will be working with, then you should go ahead and grab the job. If you don’t think so, then stay where you are and look for better opportunities. You might like the new employer, feel that the new job role to be perfect, love the company, but it won’t mean anything if you the company won’t be around for long. Before accepting the job offer, look up the company, see how it is doing in terms of revenues and other factors. Google and social media can help you a lot with the search. Dig around and just get a general idea of how the tide can possibly turn and if there will be trouble in the coming months. If all seems safe and sound, then go ahead with it. Will this step lead to something better? It is tough to stick to one particular job or company from a young age to the time you retire. You might want something more over the years or want to explore other options. Therefore, it is necessary to make sure that the job offer you are about to accept won’t leave you stagnant. It will give you the opportunity to zigzag and move forward. Keep these career development tips in mind before grabbing the job offer and signing on the dotted lines. 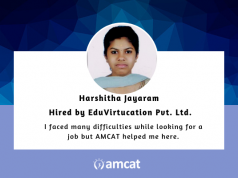 And if you are in the full mood of a change but don’t know where or how to start, check the AMCAT jobs portal and find the right job.